Clearspan shelters for aviation, seaports, and railways. A Mahaffey portable fabric structure provides the ideal solution for temporary terminal warehouses and shelters for seaports, aviation, and railways. Want to see more? 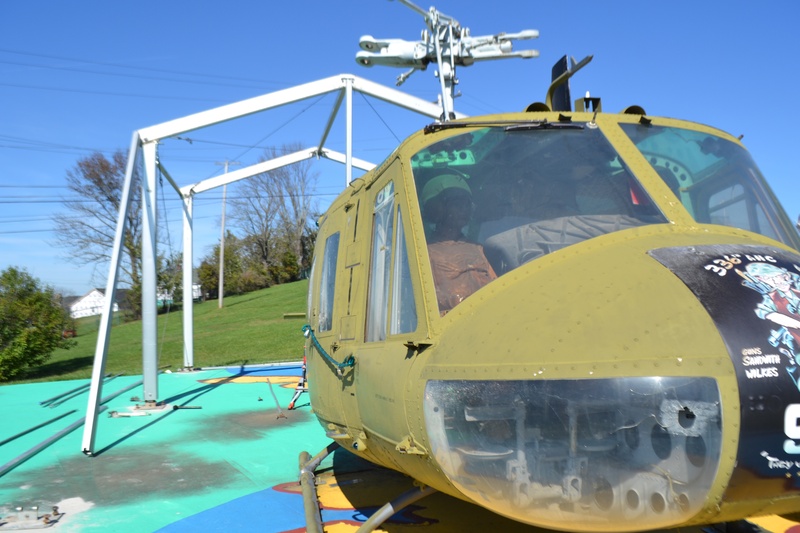 Mahaffey Fabric Structures provided a temporary hangar to protect a historic Vietnam-era Huey helicopter during a full-scale restoration. Watch the video here. ...and, just about any option found in conventional airplane hangars. Our portable structure system allows the owner to retain 100 percent of the structure's value, because it can be relocated to a different site after its initial use. This is an important feature for owners constrained by shorter-term ground leases at their airport. Mahaffey's portable structures are ideal temporary hangars. 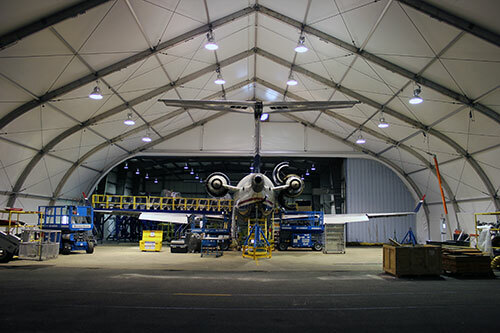 The modular design and quick installation times make these structures the perfect choice for covering aircrafts in need of repair, especially in locations where aircraft hangar space is at a premium or non-existent. Mahaffey can install a structure large enough to accommodate a single-aisle commercial airliner in as little as 5 days, no matter the location. Our fast response and set-up time allow crews to begin work immediately, so the aircraft can quickly return to its regular revenue-generating route. 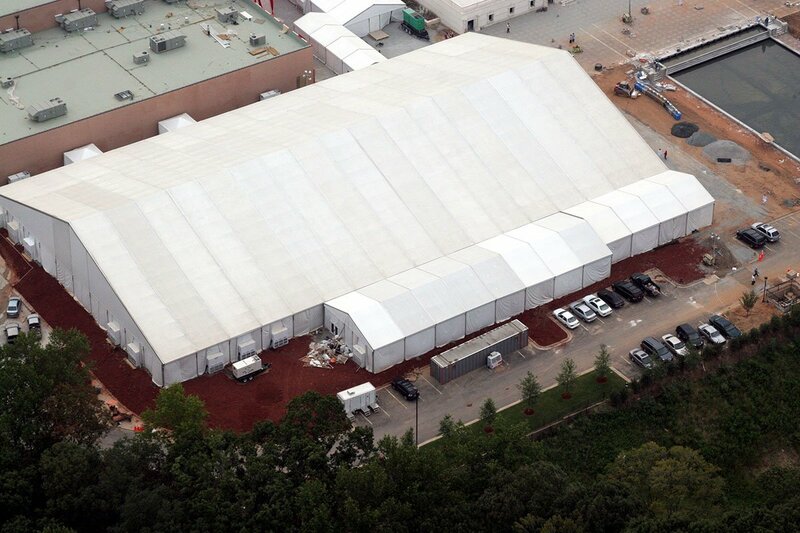 A Mahaffey portable fabric structure provides the ideal solution for temporary terminal warehouses and shelters, whether for seaports, aviation, or railways. The large, clear span nature of our structures accommodates a wide variety of uses including portable transportation terminals, cargo sorting facilities, baggage handling, equipment and aircraft storage, vehicle maintenance, and more.